Meek Mill’s legal sitaution continues to be against him, with his official bail application being turned down by the judge. They are now banking upon the appeal to get the rapper free. The Philly emcee has gained the support of politicians and celebrities across the country, and become a national symbol for criminal justice reform. Earlier today (April 12), NBC Nightly News did a special feature on his case and aired an audio interview with the rapper where he chatted with the host, Lester Holt. “It was always a thought in the back of my mind that 10 years of probation would bring me back to prison,” he said in the interview. Hold further asked him about how he was holding up. “I think God deliver me a job or to helping people. Helping minorities that come from these situations like myself. I say don’t show me no pity because this is my life,’ Meek said. “This is what I’ve been going through. And I think God put me in this position to be able to do a show with Lester Holt and open up eyes for other young black men,” he continued. Watch the clip below. 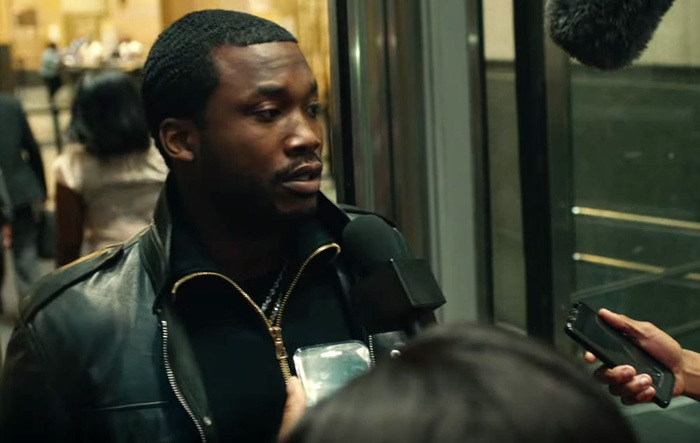 Earlier this week, Meek Mill released the video for Wins & Losses standout ‘1942 Flows’.